What do you do when there's a bee that won't get off the ball you're supposed to hit? That's what Harris English was wondering during Friday's second round of the Franklin Templeton Shootout. Matt Kuchar and Harris English are partners in this week's Franklin Templeton Shootout. Friday's format for the competition featured a "modified alternate-shot" where both players hit a tee shot, take the best drive and then alternate shots from there until the ball is in the hole. At the seventh hole, the pair decided to use Kuchar's drive in the middle of the fairway. There was an issue when English arrived at the ball to play the shot, however. There was a bee sitting on the ball that just would not, well, buzz off. Once the bee dilemma was over, the pair birdied the hole to move to 18 under for the tournament and snagged a two-shot lead at the time. Based on this video from the PNC Father/Son Challenge, it looks like the apple doesn't fall far from the tree from a golf swing perspective for John Daly's 13-year-old son, Little John. One of the most enjoyable golf events of the season teed off today with the PNC Father/Son Challenge. John Daly is making his tournament debut this year playing alongside his 13-year-old son, "Little John." Rafa Cabrera Bello finished his first round of the UBS Hong Kong Open in style on Thursday with a hole-out for eagle on his final hole of the day. Rafa Cabrera Bello, who made his Ryder Cup debut for Europe earlier this year at Hazeltine, fired a 6-under 64 in the first round of the UBS Hong Kong Open on Thursday. The round was highlight by what happened at the 10th hole -- Cabrera Bello's final hole of the day -- where he holed out from the fairway for an eagle. Nothing like being able to leave the putter in the bag as the rest of your group finishes the final hole. TaylorMade has released its new line up of equipment for 2017 -- additions to its popular M Family of clubs. We've hit that time of year where golf manufacturers begin introducing the new toys they'll be releasing for the new year. Tuesday was that day for TaylorMade. 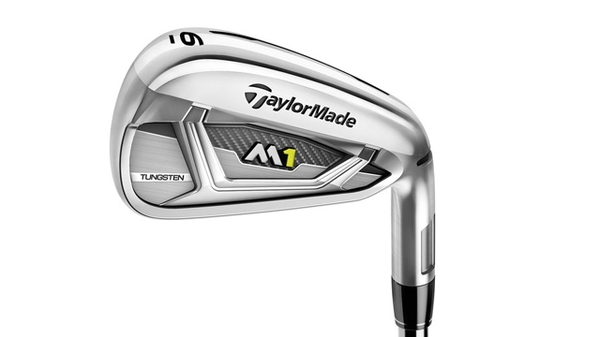 At an event in West Palm Beach, Fla., the company unveiled the new M1 & M2 drivers, fairways and hybrids, as well as re-engineered M2 irons and the introduction of the all-new M1 irons. Let's take a look at each of the new products as well as their availability. 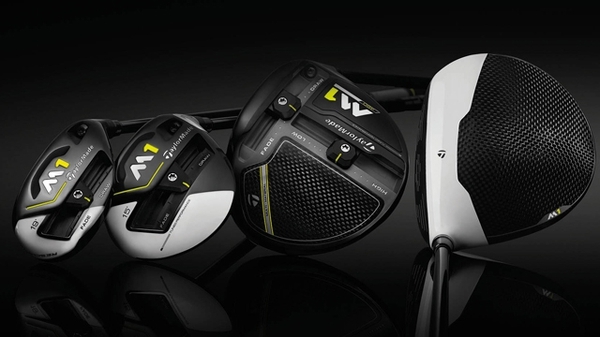 M1 Driver: Available on January 27, 2017 at $499.99 USD, the M1 460 driver will be offered in 8.5*, 9.5*, 10.5* & 12* loft options, while LH models will be offered in 9.5* and 10.5* lofts. 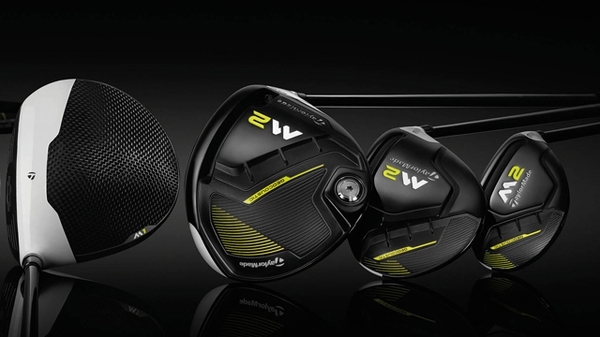 The M1 440 driver (RH only) will be offered in 8.5*, 9.5* & 10.5* loft options. M1 Fairway Metals: Available on January 27, 2017 at $299 USD, the M1 fairway will be offered in 15* (3), 17* (3HL) and 19* (5) loft options while LH models will be offered in 15° and 19° options. Premium componentry comes standard in the M1 fairway, with an MRC Kuro Kage Silver TiNi 70g fairway shaft in R, S & X flexes as well as 60g A flex. All models come equipped with a Lamkin UTx cord grip. 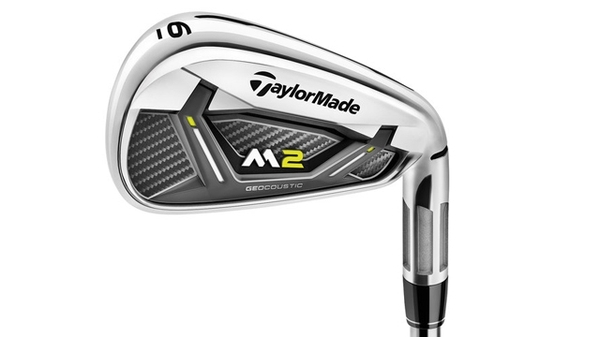 M1 Rescue: TaylorMade's most adjustable hybrid to date, the M1 Rescue, will be offered in 17* (2), 19* (3), 21* (4) and 24* (5) options while LH models will be offered in 19* and 21* options at $249 USD. M1 Irons: Available at retail on March 1, 2017, M1 irons ($999 steel; $1,199 graphite) will be offered in 3-iron through SW. Players will have a choice of True Temper's popular XP95 steel shafts or MRC Kuro Kage Silver graphite shafts in addition to numerous additional custom shaft options. M2 Driver: Available on January 27, 2017 at $399.99 USD, the M2 driver will be offered in 9.5*, 10.5* & 12* loft options, while LH models will be offered in 9.5* and 10.5* lofts. M2 Fairway Metals: Available on January 27, 2017 at $249.99 USD, the M2 Fairway will be offered in 15* (3), 16.5* (3HL) & 18* (5), 21* (5HL) and 24* (7HL) loft options, while LH models will be offered in 15*, 16.5* & 18* lofts. M2 Rescue: Available on January 27, 2017 at $199.99 USD, the M2 Rescue will be offered in 19* (3), 22* (4), 25* (5) and 28* (6) lofts while LH models will be offered in 19*, 22* and 25* lofts. M2 Irons: Available at retail on January 27, 2017, M2 irons ($799 steel; $899 graphite) will be offered in 4-iron through LW. Players will have a choice of the REAX HL 88 by FST steel shafts (S,R)or the M2 REAX graphite shafts (75-45g / S,R,A,L) in addition to numerous additional custom shaft options.